-Toppings/ or things to add in between layers such as honey, peanut butter & desiccated coconut. 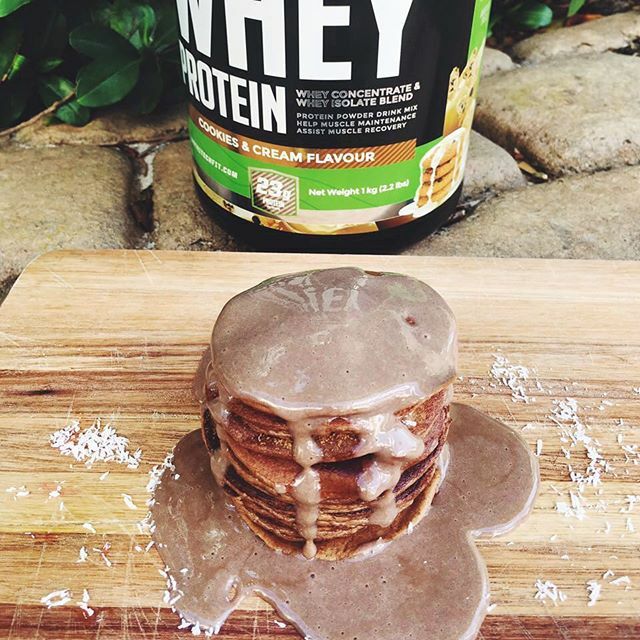 -Place eggs, sliced bananas, whey protein, cinnamon, vanilla essence & cocoa powder in a mixing bowl. -Mix all ingredients until smooth using a hand blender. -Heat up pan on a low heat & spray your coconut oil. -Place batter on pan and make small mini flapjacks & cook until golden brown. This entry was posted in Recipes, Uncategorized and tagged #NUTRITECH, NUTRITECHRecipes, PremiumWheyProtein, PremiumWheyProteinForHer, TrainLikeaPro.